COWARDLY OBAMA IGNORES THE FENIAN ELEPHANT IN BRITISH ULSTÈR’S LIVING ROOM!!!!!! | AMERICAPHILE RESURGENT!!! 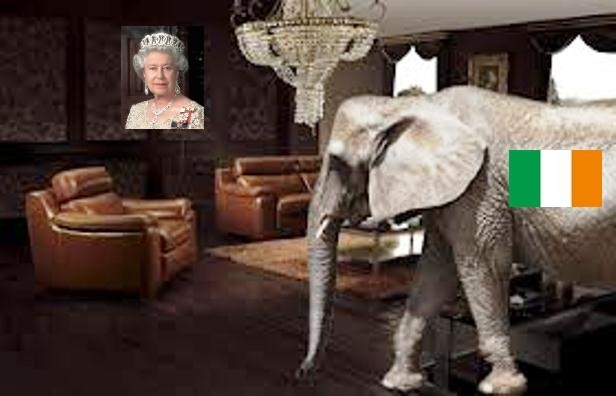 COWARDLY OBAMA IGNORES THE FENIAN ELEPHANT IN BRITISH ULSTÈR’S LIVING ROOM!!!!!! OBAMA GAVE A SPEECH IN BILFAWST TODAY, AND LIKE A BIG GIRL’S BLOUSE, DAINTILY SKIRTED AROUND THE MAJOR HUMAN RIGHTS ISSUES WITHIN BRITISH ULSTÈR WHICH HAVE SCANDALIZED THE WORLD!!!!! WHILE THIS WAS HAPPENING, SINN FEIN/IRA/PSNI DETAINED CIVIL RIGHTS WORKER WILLIE FRAZER!!!!! STILL ,IN A PLATITUDE-LADEN ORATION, OBVIOUSLY PENNED AND VETTED BY PIAPS, OBAMA MADE NO MENTION WHATSOEVER OF, FIRST AND FOREMOST, FLAG RIGHTS, OF JAMIE BRYSON’S APPEAL TO AMNESTY INTERNATIONAL ON BEHALF OF PEACEFUL PROTESTERS, OF THE CULTURAL GENOCIDE AGAINST THE ULSTÈR SCOTS, OF THE BELFAST ABOMINATION, OF LINGUISTIC APARTHEID, OF PRICE DISCRIMINATION, OF OPRESSION OF WORKERS, OF CHILD ABUSE, OF SABOTAGE AGAINST THE PUBLIC TRANSPORTATION INFRASTRUCTURE, OF THE DENIAL OF ACCESS TO HIGHER EDUCATION FOR BRITISH ULSTÈR CITIZENS, OF SPAGHETTI LEFT IN THE WASHING MACHINE, OF SINN FEIN/IRA’S REVOLTING INTERFERENCE WITH HORSES OR OF CANNIBALISM!!!!! SHAME ON THE COMPLIANT NEWS MEDIA FOR THEIR SILENCE!!!!!!!!!! Pingback: OBAMA DELIVERS PIAPS’ KUMBAYA TO BRITISH ULSTÈR!!!! | AMERICAPHILE RESURGENT!!! Pingback: IAN MCREA VS. NI21 SCUM!!!!!! | AMERICAPHILE RESURGENT!!! “Bilfwast” LMAO!!!!! and you seriously refer to Irish as a non language, you must be a parody nobody is this stupid its just impossible!!!! !